Any individual working in the many fields of ministry will face the challenge of disillusionment. When I first got into ministry work I had some naive notions about it. I was hoping to find a burgeoning vibrant Christianity rallying unified, as one, carrying the gospel like intrepid soldiers into the depths of the darkness of the world. Now don't get me wrong, that certainly does take place. But it's much more a mixed bag than that. There are some who live it out, and some who do not. In some church movements the idlers may be the majority, in the others the activists may be the majority. I was hoping to see Finney-Edwards style revivals take place, I was hoping to lead dozens of people to Christ each year. Unfortunately it hasn't happened that way. Then again, there's nothing wrong with having hopes such as those. We should dream big dreams and hope for great transformations. The daily in and out however can become tiring and weary-some. Dr. Ravi Zacharias called it the "horror of the monotonous." Day in and day out watching lives not changing, watching the news, hearing about terrorist attacks, learning about the millions of abortions year round, and watching the numbers slowly decline from churches across the country. It's very challenging. Then we see other Christians, who we think ought to be rallying against the night. But instead they are idle. They seem to be thoroughly inactive for Christ. And it frustrates us. Further still we begin to see in ourselves more and more so our own failings and inadequacies. We see that the sin problem is not just outside us, but within us. We struggle with it on a daily basis and we wonder, how can we do a good thing in the world when the problem is not just around us but within us? And how can we make a difference? Yet we keep fighting to make a difference. On the horizon we see entire church movements beginning to turn against sound biblical teachings on marriage and the sanctity of life. We see relativism invading the church. We may even see it gaining ground in our church movements. This is terribly disturbing to us because we know every word of the Bible is God's word, and we know that if the church declares sin to be holy, then the darkness has indeed become powerful within us. So we raise our voices to challenge these false doctrines. Yet we are told to be quiet. We told to stopping being so judgmental. We are told we need to be more accepting and inclusive. Yet we know that God's word doesn't change. And to love someone is to tell them the truth, even if it's hard to tell them it. Yet we also find great reason for hope. Africa has gone from 2% Christian to near 50% Christian. The fastest growing Christian movement in the world today is in China of all places. South Korea has a massive Christian presence. The new atheists and the secular progressives had proclaimed the demise of religion at the turn of the 21st century. Yet their predictions of disaster for Christianity failed to materialize. 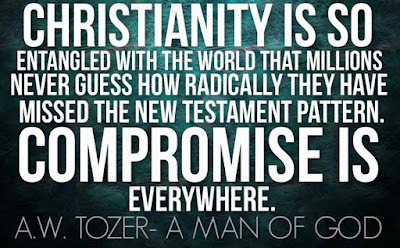 In fact Christianity is stronger in the world today than at any previous point in history. We see the gospel finding new means of distribution and propagation through social media, blogs, apps, radio stations, television, and websites. We see charities like Compassion flourishing and reaching millions of poor youths for Christ. So we've noticed it's a mixed bag. There are many wonderful things happening (though they never make the news) and there is a lot of apathy and relativism in the church. Is this odd? Is this a strange circumstance to find the Christian church in? Absolutely not. Why? I'd like to direct your attention to Matthew 13:24-30 (NLT). Jesus said, “The Kingdom of Heaven is like a farmer who planted good seed in his field. But that night as the workers slept, his enemy came and planted weeds among the wheat, then slipped away. When the crop began to grow and produce grain, the weeds also grew. Jesus told us in his parables that within the kingdom, the wheat and the weeds are being allowed to grow together. In fact in the parable Jesus specifically tells his servants not to attempt to uproot the weeds or the wheat might be accidentally uprooted instead. Jesus replied, “The Son of Man[d] is the farmer who plants the good seed. The field is the world, and the good seed represents the people of the Kingdom. The weeds are the people who belong to the evil one. The enemy who planted the weeds among the wheat is the devil. The harvest is the end of the world,[e] and the harvesters are the angels. “Just as the weeds are sorted out and burned in the fire, so it will be at the end of the world. The Son of Man will send his angels, and they will remove from his Kingdom everything that causes sin and all who do evil. And the angels will throw them into the fiery furnace, where there will be weeping and gnashing of teeth. Then the righteous will shine like the sun in their Father’s Kingdom. Anyone with ears to hear should listen and understand!" If we let the failings of other church members turn us away from Christ, we're not being wise. Other Christians will make mistakes, terrible mistakes, because we are fallen sinners redeemed only by Christ. And we must also remember that there are non-believers sown amongst us, by the enemy, and they will often be the ones who dishearten us. But I want to remind you that even the redeemed elect will cause you discouragement as well. We still make mistakes and mess things up. Pastors and lay leaders will also make grave mistakes. Which is why we shouldn't look to pastors or authorities, if we do, we will become jaded and bitter. If we look to the perfection of Christ, and trust Him alone, then we will rejoice in our sufferings. After all Christ said in his parables that He will deal with this problem at the judgment, not us (Matthew 13:24-30). So if we turn away from Christ because of our jadedness with abusive churches or church leaders, we're not being wise. We must look to Christ alone, and we then can never become jaded. Yet we also look to those around us to be an example. There's nothing wrong with that. And we should go to our fellow believers when we see them doing wrong and ask them to turn from those ways. But when I start to become jaded about what I see around me, I once again force my gaze to turn from the problems of the world to the total perfection and sovereign authority of Jesus Christ our Lord and savior. I look to the work of the Lord Holy Spirit in the world and realize God's will is being done. I don't control things, I can't force things to go differently. His will is that which will be done. Jadedness is a threat to our effectiveness in carrying the gospel, we must battle and fight the temptation to become jaded, not yield to it in frustration. That is the whole key of this article, if I could leave one key thought with you it's this: Battle against jadedness. Fight against bitterness. Struggle against it. Do not yield to it. Never! Fight, fight, fight for hope in your heart. 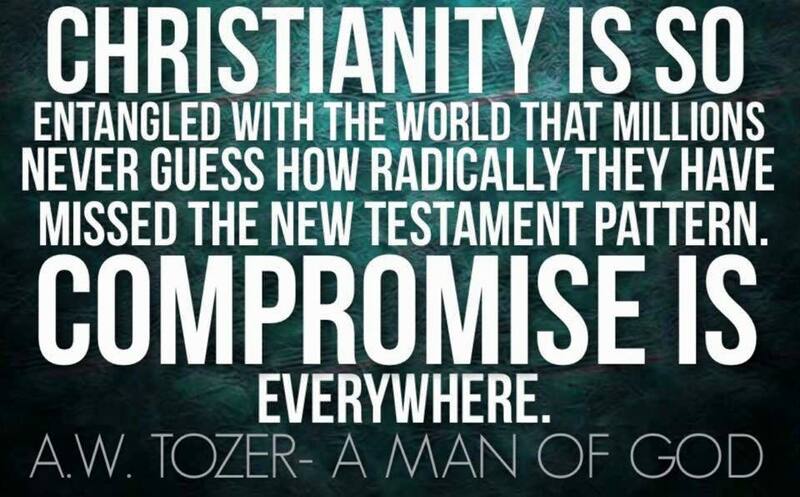 Do not allow the jadedness to make a home, but once again look to Christ and be filled with hope and fire. Consider the letters of Paul to the early churches: Scandal after scandal, problems, issues, controversies, and we expect different today? The letter to the church in Corinth described factions, believers were arguing over which apostle they were following, whether Paul, or Peter or Apollos (1st Corinthians 1:10-17). Paul wrote to Timothy encouraging him in his ministry to resist false teachers which were common, and would come up against him (1st Timothy 1). Paul again wrote to Titus urging him to resist the circumcision group, a group of probably Jewish-Christians who were attempting to require new believers in Christ to be circumcised as a requirement for salvation (Titus 1). James the brother of Jesus wrote in his letter to the Jewish tribes scattered among the nations, urging these believers to not be idle, but to practice their faith (James 2:14-26). And finally, if one reads through Revelation, Christ's exhortations to the seven churches, we see that every sort of problem was wrestled with by the early churches (Revelation 1-3). All of this to say, we must, must, must not be surprised when we come up against situations, people, and places that threaten to push us toward bitterness. We must actively fight against bitterness. We must make war on bitterness, and reject it, committing ourselves to a higher way, refusing the now, refusing discouragement, refusing to let ourselves become negative, but instead focusing on the long game, continuing to serve faithfully, and recognizing constant problems as hallmarks of Christian service.